Gene Coppa, MD, is responsible for developing a strategic plan for surgical services, and facilitating quality improvements in all surgical disciplines across Northwell Health. He also directs program development for the Department of Surgery at North Shore University Hospital and LIJ Medical Center, and oversees the surgical residency program. 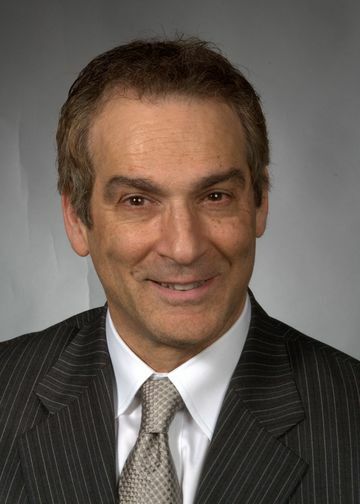 Dr. Coppa, chair and professor of surgery at the Zucker School of Medicine previously served as vice president for surgical services and chairman of surgery at Staten Island University Hospital (SIUH). He also was SIUH’s program director of both the general surgery residency training program, as well as the minimally invasive surgery fellowship. Before joining SIUH, he held several positions at Bellevue Hospital, including director of surgery, ambulatory surgery and surgical clinics. A diplomate of the American Board of Surgery, Dr. Coppa is one of New York State’s most experienced subspecialists in hepato-pancreato-biliary (HPB) surgery. His 35 years in practice also encompasses extensive colorectal, trauma and bariatric surgery. Dr. Coppa is a member of numerous professional societies, including the Fellowship Council in Surgery, American Society for Metabolic and Bariatric Surgery, the New York State Society of Surgeons, the American Society of General Surgeons, the American College of Gastroenterology, the American College of Surgeons and the New York Academy of Science. During his extensive career, he has conducted research, authored articles, books and book chapters, and presented and lectured on a variety of surgical topics. He has been listed in America’s Top Surgeons, New York Metro Top Doctors, New York Top 100 Minimally Invasive Surgeons and New York Best Doctors. Dr. Coppa received his medical degree from the New York University School of Medicine and a bachelor's from Manhattan College. He completed his residency at New York University – Bellevue Hospital Department of Surgery. View Dr. Coppa's clinical profile. Northwell is answering the call for increased services for patients with liver and kidney diseases.